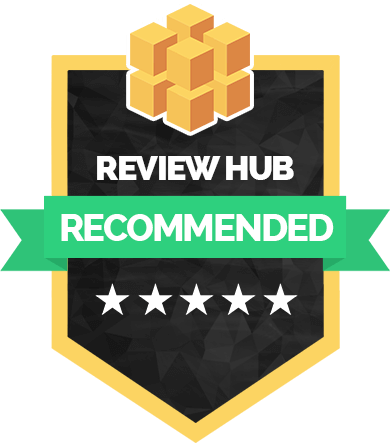 Review Hub Recommended for Wireless Sports Earbuds. 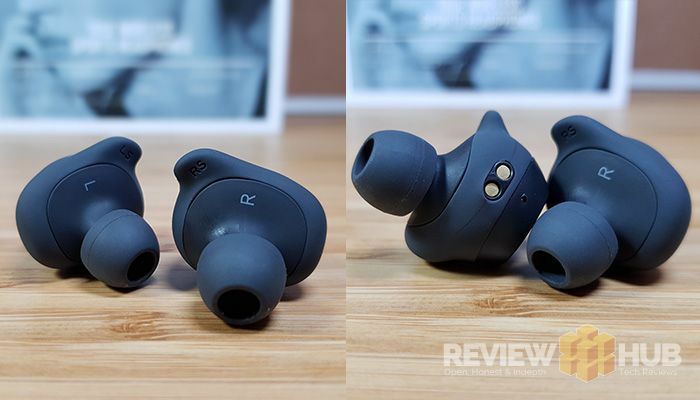 The Havit G1 Earbuds Are Hands-Down The Comfiest Wireless Headphones I’ve Ever Tested! 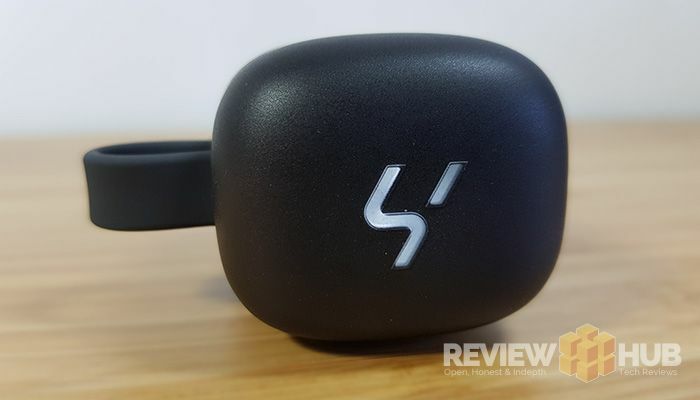 I’ve been using the Havit G1 Wireless headphones for the last three weeks and quite frankly… they’re brilliant! It’s a rare occasion when a gadget meets all my expectations and G1’s have done just that. They’re comfortable, lightweight and fantastic for running. The quest to find the perfect pair of running headphones has been on my list for a while. I usually find that either the fit is uncomfortable, they fall out of my ears during exercise or just sound plain awful. The Havit G1’s fit like a dream and will happily stay in place for the entirety of my 8KM trail run! So let’s get to it, here are my Havit G1 Pros & Cons before I dive in-depth looking at the Audio Quality, Design, Comfort & Fit, Build Quality, Battery Life & Connectivity. Fancy yourself the perfect pair of wireless running headphones? You can have the most futuristic-ly designed and uber-comfortable headphones in the world. But, if the audio quality is under par, then they might as well be paperweights. So how do the Havit G1 earbuds perform? Pretty damn good! Now these headphones aren’t going to win any audiophile awards. But, for a pair of waterproof sports earbuds, they hit all the right notes. Listening to a variety of music, the Havit G1’s are all about da bass! If electronic music is your thing, then you won’t be disappointed as the bass is epic thanks to the 6mm titanium diaphragm. The Audio Cons: Mids and highs aren’t crystal clear sometimes leaning towards a muddy sound. Also, during certain songs, voices can lack character not sounding as bright as they could. Let’s be honest, if you’re looking for a pair of wireless headphones to sit back and enjoy your music to its fullest? then the G1’s aren’t for you. 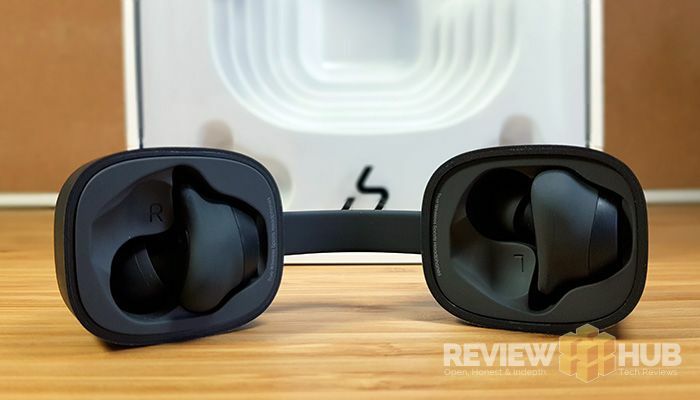 But, if you’re looking for a pair of headphones that sound okay for most genres and really shine with electronic tracks + are IPX waterproof, wireless and super comfy… then you might just have found the perfect pair of earbuds! At first glance, the Havit G1’s don’t look very comfortable. It’s not until you first put one into your ear that you realise the rather strange looking shape fits fantastically. Tip: place them into your ears with a slight twisting action for the best fit! I’ve taken the Havit G1’s out running 10+ times in the last three weeks and they haven’t let me down yet. There’s been a couple of times where I’ve had to push them in slightly to achieve an air seal, but, they’re miles ahead of the competition when it comes to fit. They’re also deceptively light weighing in at only 6 grams per earbud, allowing you to forget they’re even there. Inside the premium packaging, you also get four more size options to choose from. Included as standard, is the Havit charging / storage case. It’s a neat idea, well made and feels very premium. The Havit logo lights up light to let you know the earbuds are charging. Inspecting the earbuds closely, there’s no defects, poor moulding or any quality issues to be found. 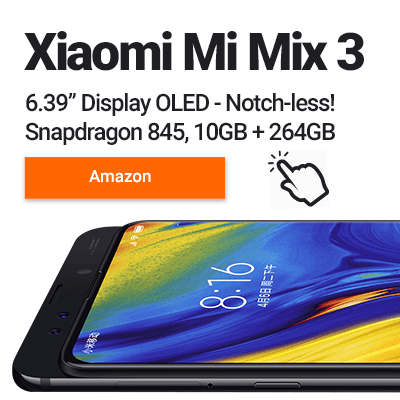 This is in part due to Havit designing the G1’s with an IPX5 rating. This means it can handle hours of sweat and rain, and would probably be okay with accidental submersion if you fish them out quickly! Overall, the Havit G1’s score highly in both design and build quality. But, when we look at comfort… it’s 10/10! During my time with the Havit G1’s, I haven’t had any connectivity issues. I’ve been using them mainly with my Galaxy S8, but also with a Lenovo laptop during the day. Whether running out in open fields, in the office, or walking through the built-up centre of Manchester, the Bluetooth 5 module built into the G1’s have maintained a stable connection. Once connected to your smartphone, the Havit G1’s will automatically re-connect next time. Once you take them out of the case, they’ll automatically look for the last device. Place them back into the case and they’ll automatically go into charging mode. Each earbud has a 60mAh battery built-in which will give approx 3-4 hours playtime depending on the volume you listen at. The included case also works as the charger and comes with an additional 720mAh battery. A quick bit of maths means that you’ll get around 5 full charges (-1 charge for inefficiency) on the go. Not bad. The earbuds will also fully charge in around 1.5-2 hours. Can Havit do no wrong? The packaging on the G1’s is a premium affair. It’s well put together and feels like it’s from a much more well established brand. Inside you get a Havit branded USB cable, 2x G1 earbuds, charging case, manual, warranty and extra sizes for both the earbud tip and cover. 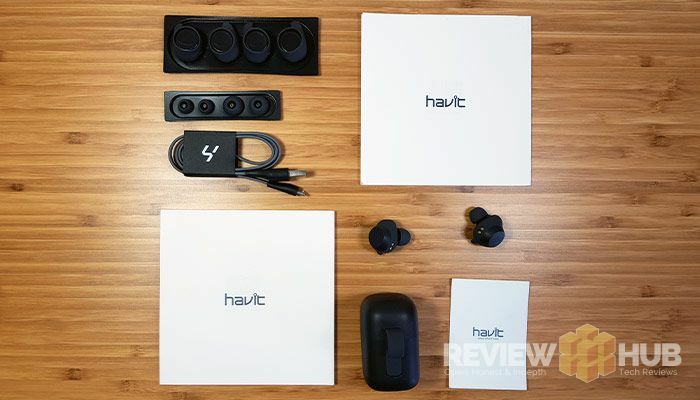 Well if you’ve ready my Havit G1 review up until now, you’ll know that I’m a massive fan and they’ve become my go-to running wireless earbuds! You’d be hard-pressed to find a better pair of waterproof wireless earbuds at this price-point. While the battery life isn’t the longest, I agree with the decision as it allows the earbuds to weigh only 6 grams each. The Havit G1’s are a pair of wireless sports earbuds you won’t regret! 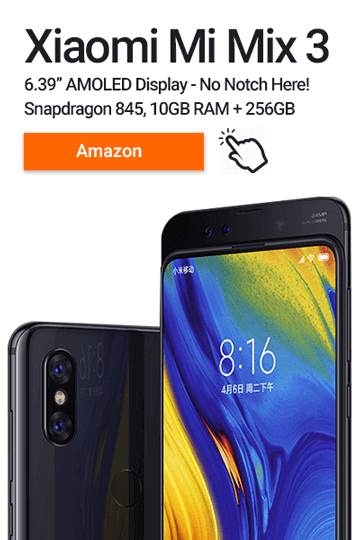 Latest Havit G1 Earbuds Deals & Offers? Only have audio in one ear? I was hit with this conundrum as well; it turns out that on some Bluetooth connections, (like my Windows PC), you need to make sure the Havit G1 Left & Right earbuds are paired before pairing with the Bluetooth connection. To fix this, I headed to the settings. Forgot the Havit G1 connection. Turn on the 1st earbud (wait for connection swish), then the 2nd (wait for swish). Wait for the connection sound to play in both ears (double swish). Then I re-connected to my Windows PC Bluetooth connection for stereo audio. Have any Havit G1 tips or questions? Comment below!